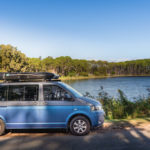 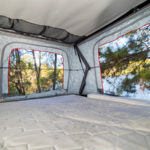 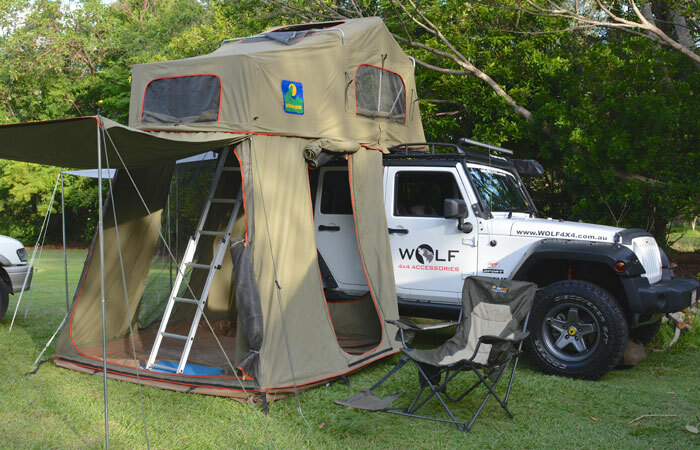 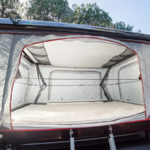 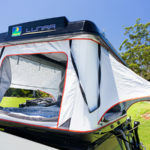 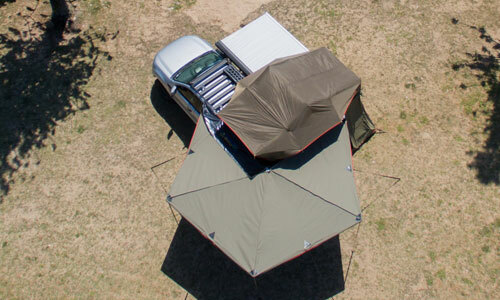 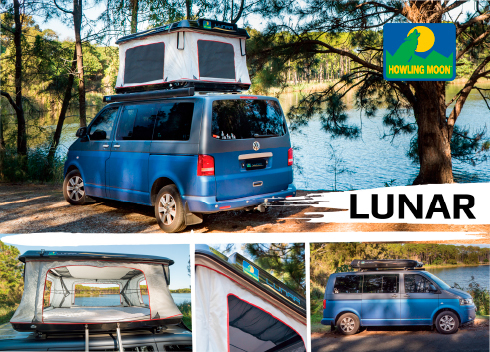 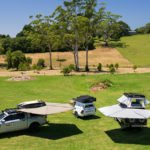 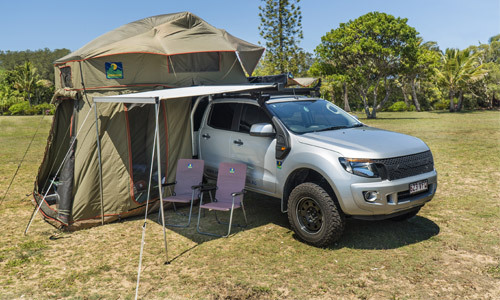 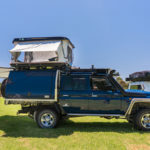 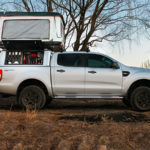 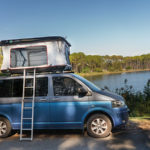 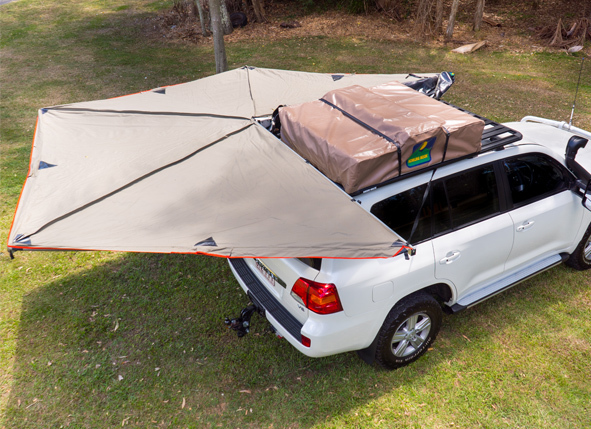 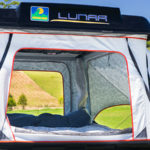 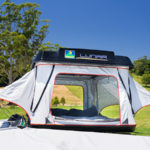 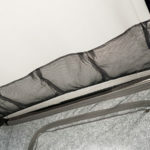 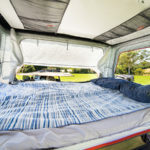 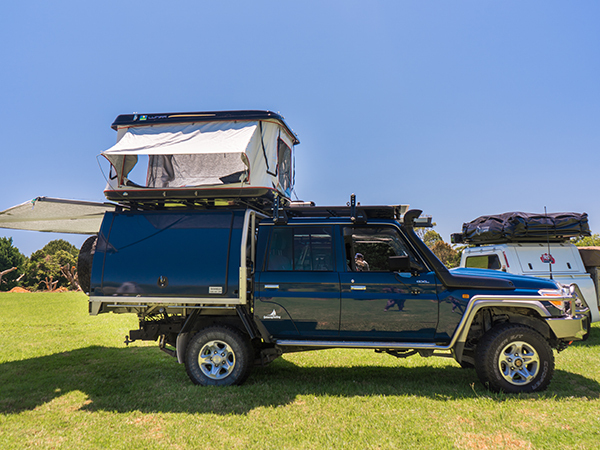 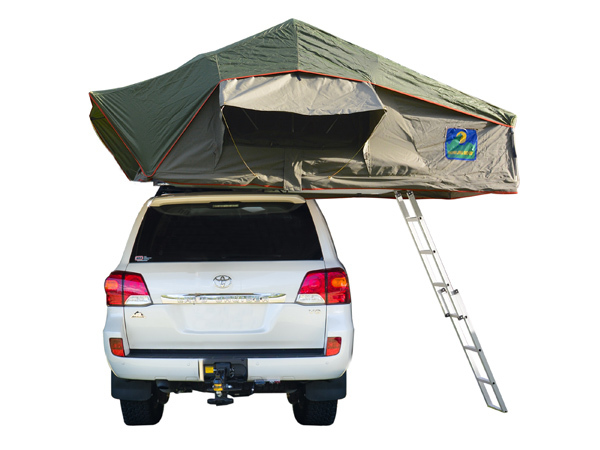 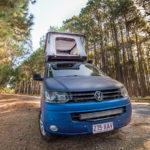 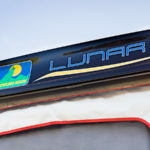 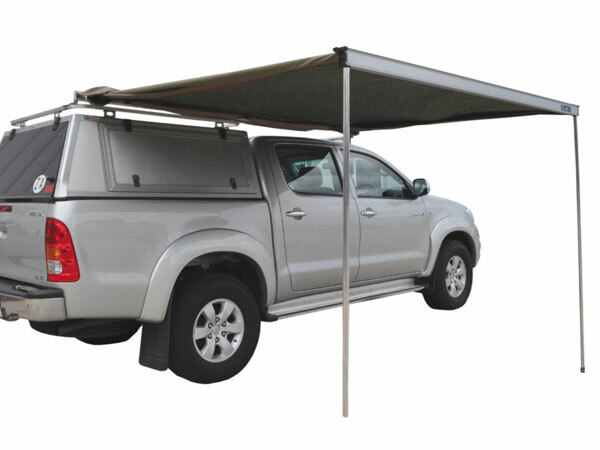 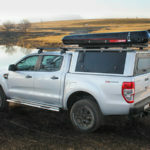 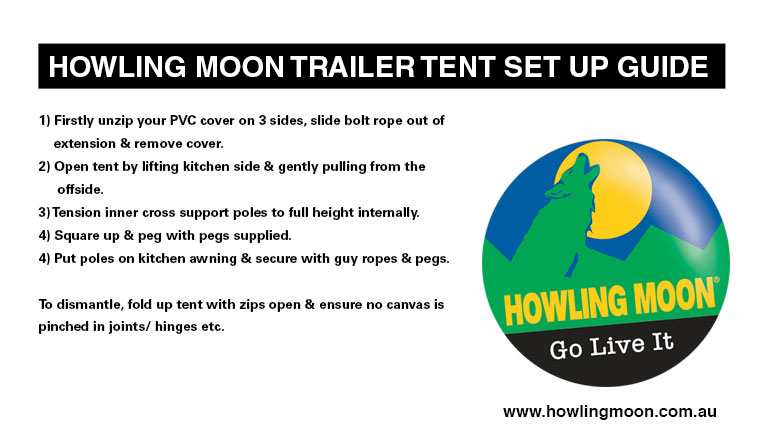 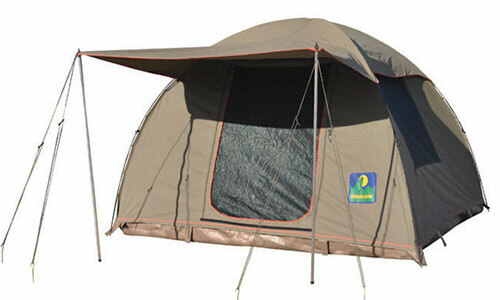 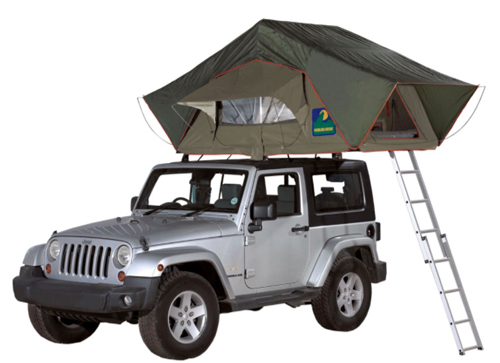 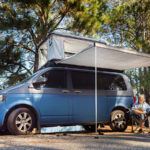 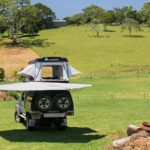 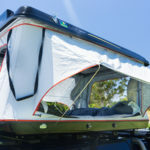 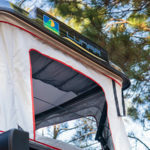 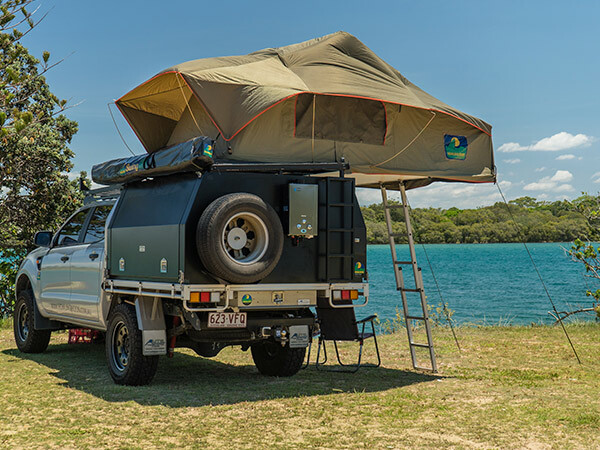 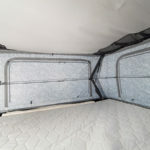 Howling Moon’s Hard Shell Roof Top Tent. 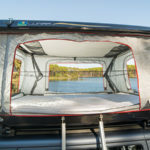 Strong & durable, sleek fiberglass shell top & bottom. 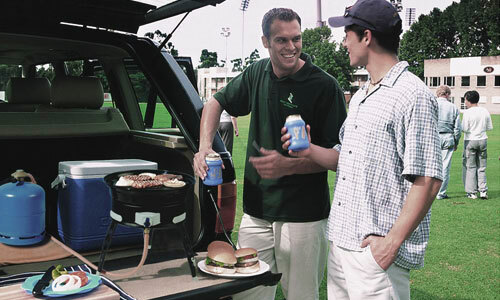 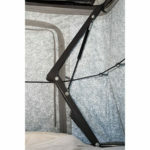 gas strut lifting mechanism makes opening effortless. 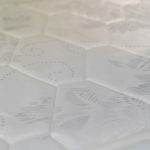 The fully quilted comfort high density 100mm foam mattress gives you a home from home nights’ rest! 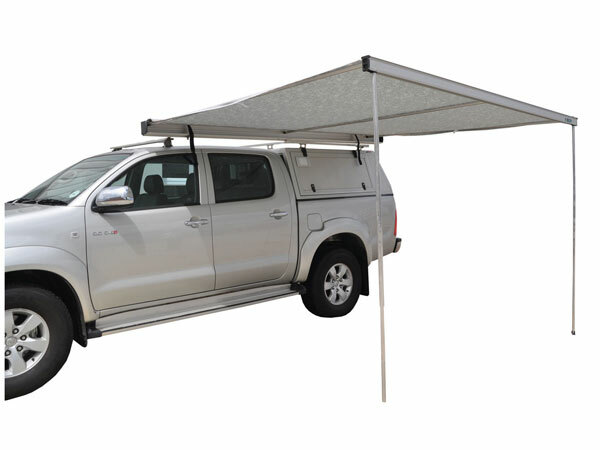 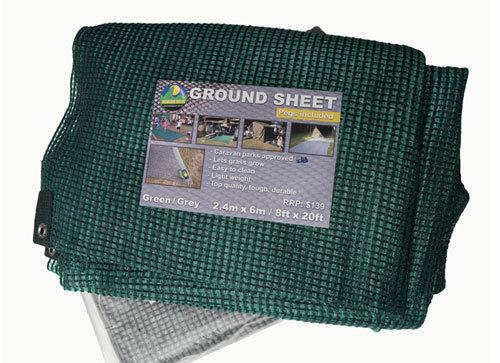 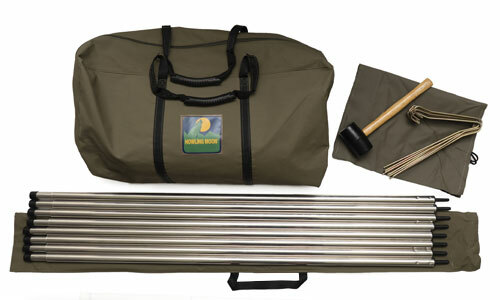 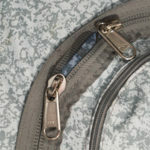 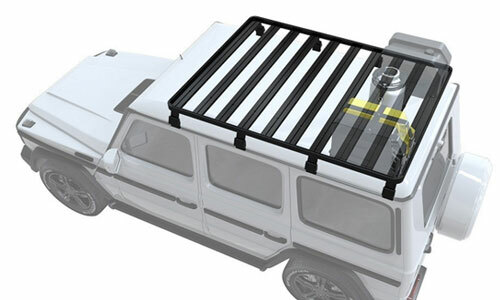 Unique locking system to ensure stability when open and can withstand harsh weather and wind. 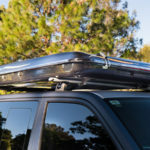 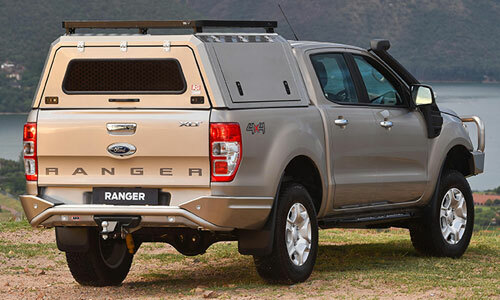 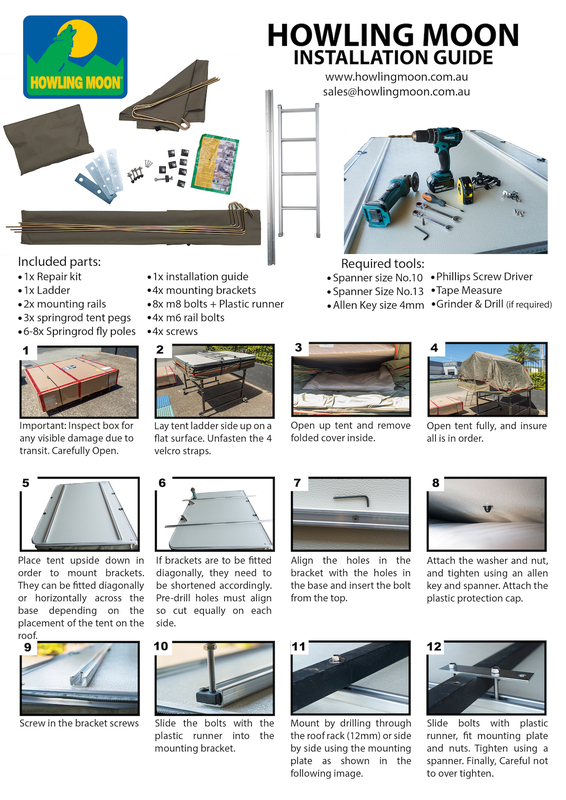 Aluminium mounting rails built into top of Lid to enable fitting of accessories such as a solar panel.